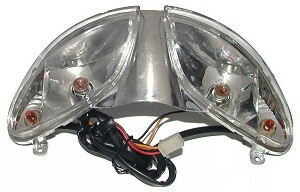 Browse for headlights by vehicle make and model. Replacement rubber mounting rings for LIT-140, LIT-145, LIT-146, LIT-147, and LIT-149 headlights. 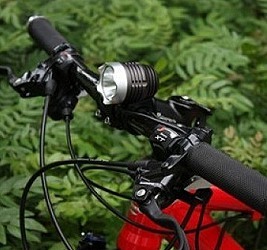 Set includes one large and one small mounting ring to fit all size handlebars. These rubber mounting rings feature built-in pull tabs for easy installation and removal. 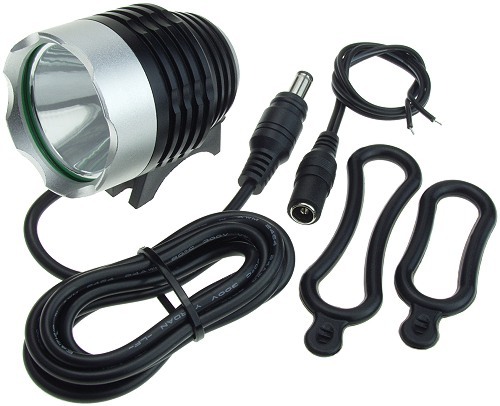 Replacement battery charger with US plug for LIT-140, LIT-145, LIT-146, LIT-147 headlights sold above. 100-240V AC 50/60Hz input. 8.4V 1A (1000mA) output. 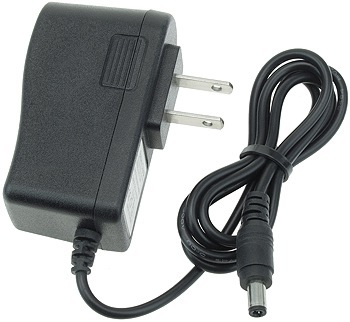 Replacement battery charger with European plug for LIT-140, LIT-145, LIT-146, LIT-147 headlights sold above. 100-240V AC 50/60Hz input. 8.4V 1A (1000mA) output. 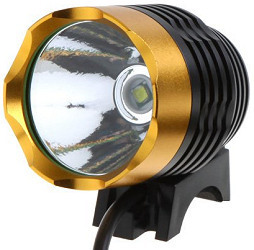 800 lumen super bright single LED handlebar mount headlight for electric scooters and bikes. Operating Voltage is 8-30 Volts. 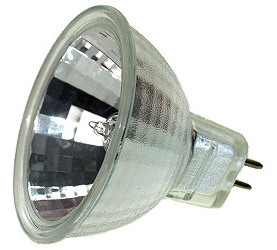 Light output remains the same regardless of the input Voltage. 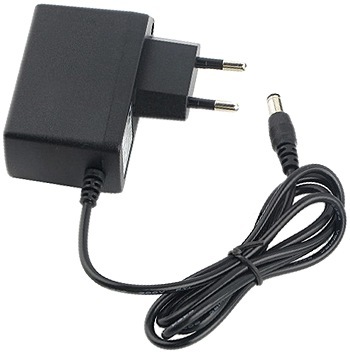 45" long power cord. 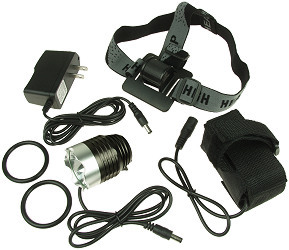 Includes power port with 10" long wires and set of two rubber mounting rings. 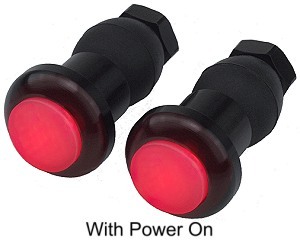 Lighted push button power switch on back of light to select options of full power, half power, and flashing light. 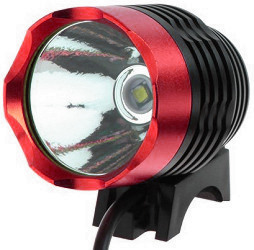 Super bright 1200 lumen 3 LED handlebar mount headlight for electric scooters and bikes. 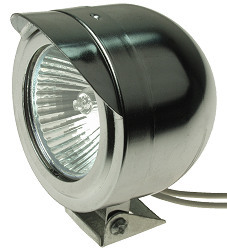 Operates between 20-80 Volts DC. Consumes 15 Watts of power. 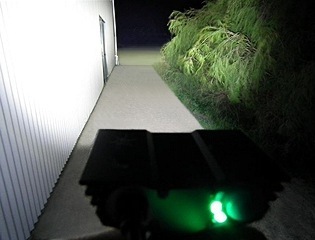 Brightness does not increase or decrease depending upon how much Voltage is applied to the headlight. 12" long power cable. Headlight body and handlebar mounting clamp are made from machined aluminum. 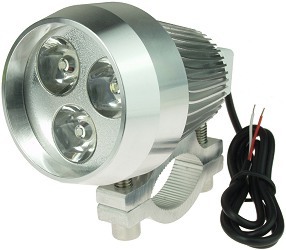 Your choice of 12 Volt, 24 Volt, or 36 Volt 10 Watt 2" halogen headlight bulb. 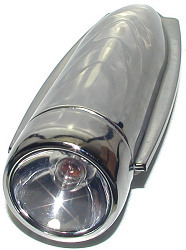 Headlight measures 2" wide x 3" long with 2" clear glass lens. 4" long power leads. 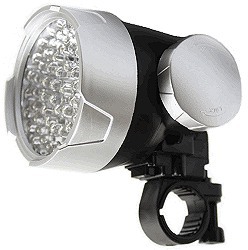 Chrome plated steel body with electroplated steel mounting bracket and hardware. 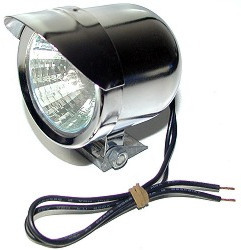 Your choice of 12 Volt, 24 Volt, or 36 Volt 10 Watt 2" halogen headlight bulb. 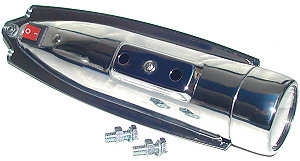 Headlight measures 2-1/2" wide x 2-3/4" long with 2" clear glass lens. 4" long power leads. 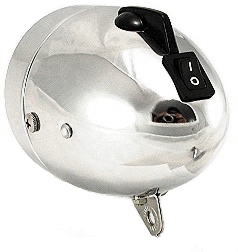 Chrome plated steel body with electroplated steel mounting bracket and hardware. 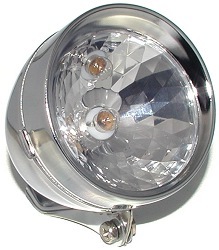 Your choice of 12 Volt, 24 Volt, or 36 Volt 10 Watt replacement halogen headlight bulb with clear glass lens cover. 2" outside diameter. 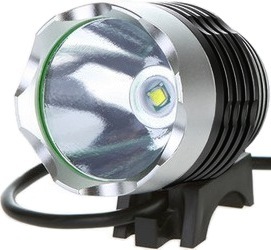 Fits the 2" and 2-1/2" halogen headlights sold above. 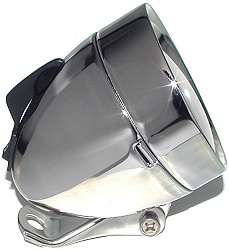 Crystal-clear headlight lens design with conical reflectors. 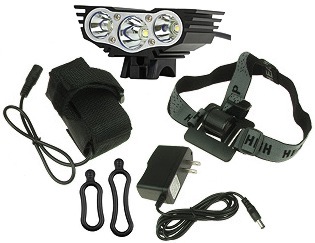 Includes two 12V 10W headlight bulbs and two 12V 3W amber turn signal bulbs. 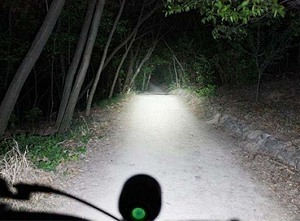 Turns any standard d-cell flashlight into a scooter or bicycle headlight. 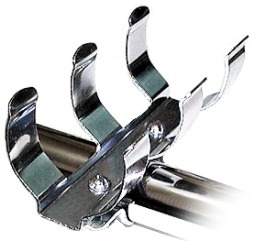 Heavy-duty chrome plated all-steel construction. Easy to install two piece design. Handlebar grips and brake levers do not need to be removed for installation. 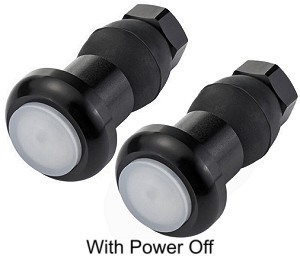 This flashlight holder has a flat bottom so can also be mounted to any flat surface. Made in USA by Wald®.